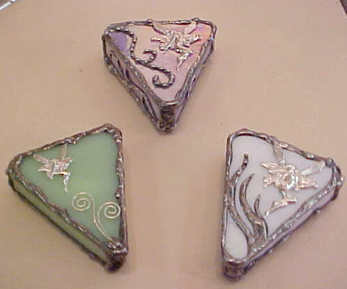 Beautiful Stained Glass Boxes: Keep your treasures in a treasure. Tooth Fairy Boxes. A magick little box to let the Tooth Fairy know where and when a tooth needs exchanging. 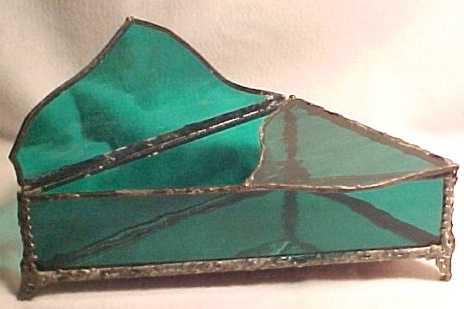 Odd Top Box in Translucent Green glass with decorative edging and bi-fold lid. More to come as soon as the format is confirmed and prices set...... Stay tuned.